Please find below a call for papers for a conference on “Key Biographies in the Legal History of European Union 1950-1993”, which will be held at the Max Planck Institute for European Legal History in Frankfurt. “Legal History of the European Union” is a recently established research field at the Max Planck Institute for European Legal History at Frankfurt. 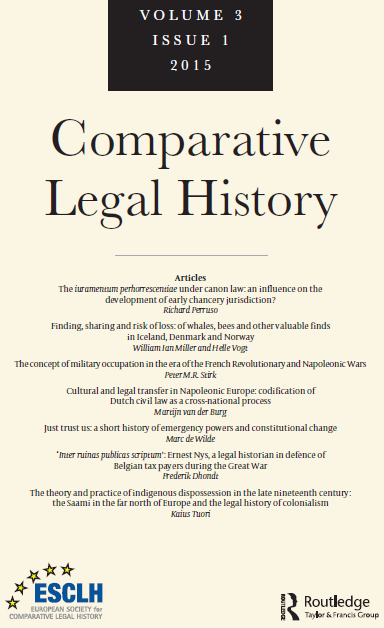 The MPIeR attempts to situate the history of European law in a longue durée perspective, with a strong comparative dimension and taking into account the broader political and socio-economic context. The activities of the research group include the organization of an annual conference. Last year’s conference explored the legal history and the travaux préparatoires of the 1957 Rome Treaties. The conference proceedings are currently being prepared for publication. The 2018 conference will scrutinize the history of European law with a distinct focus on professional biographies, both of key personalities in the history of European integration and of less prominent actors – national, transnational and European. We welcome proposals of not more than 150 words by 15th January 2018. Please email your proposal and a short CV to bajon@rg.mpg.de.